Front page of the Daily Telegraph on 21st November 2013 is every parents worst nightmare. Drunk schoolies hanging off the 23rd level of a hotel balcony on the Gold Coast. Their faces say it all – their young, their free, their invincible. Well at least, so they think. An impervious attitude alarmingly shared by many of the 40,000 school-leavers expected to pour into the Gold Coast for 2013 schoolies celebrations. Their mentality perfectly summed up in the balcony hopper’s remark, “Get over it, we were just trying to have some fun…” Fun that could so easily end their lives in an instant with a simple slip of their foot. And they know that – they just don’t believe it will happen to them. So how do we open their eyes to the fact that it can?! To the fact the unthinkable does happen?! Hopefully not in the same way that my eyes were forced opened to it – by suffering my own sudden family tragedy. I am sure many Schoolies kids know it is not a smart idea to hang off a balcony, walk home alone or experiment with illicit drugs, but they naively believe that the worst case scenario ‘won’t happen to them’. I very much thought the same way only a few years ago when I celebrated my schoolies and I believe this is what encourages teenagers to take so many risks because they genuinely believe they won’t have to live with the consequences. I shamefully admit that I always thought tragedy would never touch my family because that happens to “other people”. Yet when I awoke on 20th October 2012 to the life shattering news that my beautiful sister Nicole Fitzsimons, aged 24, had been killed in a horrific motorbike accident whilst holidaying in Thailand, suddenly the ‘unthinkable’ became my new reality. A heart-breaking reality I pray I can save as many young beautiful lives from experiencing by opening their eyes to the fact the unthinkable can happen to absolutely anyone, including themselves. Alarmingly, this ‘no worries, no rules, no fear’ motto is alive and well for many Australians relaxing on holidays. See Nicole would never risk getting on a motorbike without a helmet here in Sydney, yet allowed herself to relax into ‘holiday mode’ and fall victim to a culture that has little concerns for safety standards. But just because the locals may do it does not make it safe, especially after discovering 38 people die in motorbike accidents every day on Thailand roads, which are officially the sixth most deadly roads in the world. See I believe could share with you all the common sense tips in the world about how to prepare your child for schoolies, but I think the number one most important lesson they need to learn before they embark on these celebrations is that the unthinkable can happen to them, so their safety needs to remain priority wherever they are in the world! My family established the Nicole Fitzsimons Foundation in honour of my sister’s legacy and an important aim of the Foundation is raising awareness of travel safety among young Australian tourists with a mission to bring more of them home safely into the arms of loved ones. 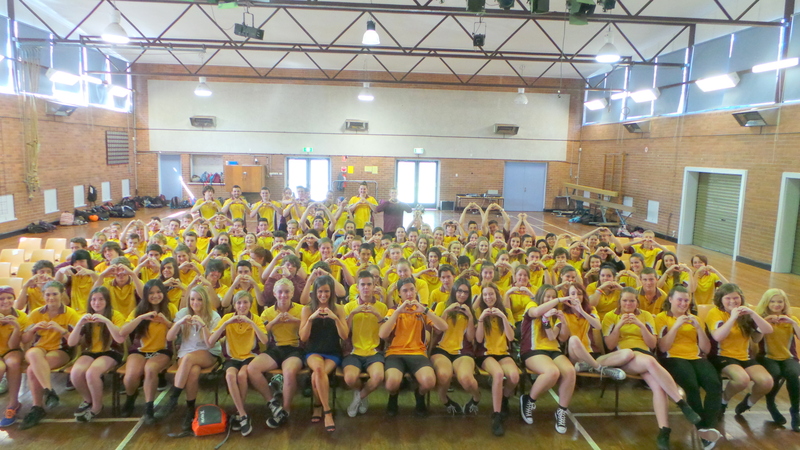 In fact, I am so passionate about sharing these messages with the rest of Australia I have walked away from my corporate career to dedicate myself full-time to Nicole’s Foundation by delivering voluntary presentations to senior school students around the Nation. Besides highlighting the lethal risks of riding motorbikes on unpredictable foreign roads, I also make students aware of the various other dangers of travelling in foreign countries including drink spiking, passport scams, as well as the serious legal trouble tourists can land themselves in by ignoring local laws and behaving recklessly towards locals. Although my presentation focuses on South-East Asia due to my personal experience, I make clear that the lessons can be applied absolutely anywhere in the world, including Australia, as the underlying message is that we need to ensure our safety remains a priority with every decision we make. Teachers say they have never seen their students so captivated and when they come up to me speechless with tears streaming down their face I can tell Nicole’s story has moved them in such a way that the impact will be felt for a lifetime. One of my favourite sayings is, “People may forget what you say, but they will never forget how you make them feel”. 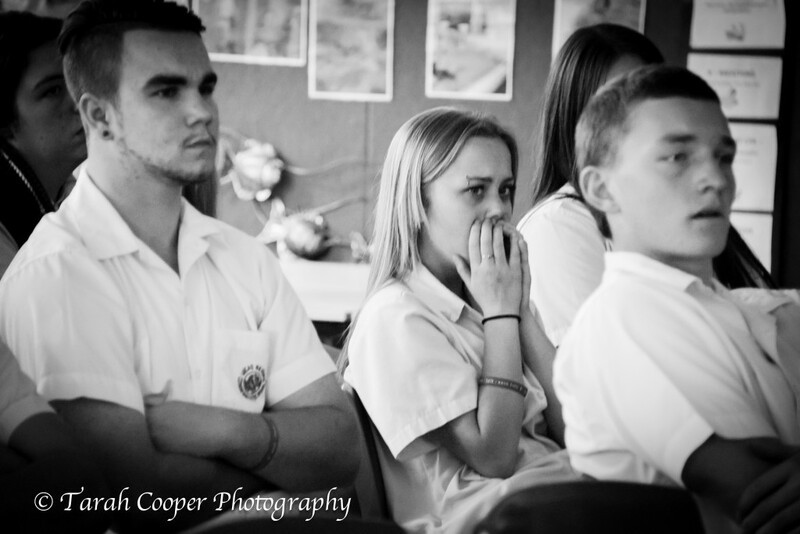 As a young adult myself, I know I hate being ‘told’ what to do, so through my presentations I help the students ‘feel’ it instead by sharing what it is like to suffer through such a senseless tragedy at an age not much old than them. I share with students the emotional rollercoaster my family has been on since losing Nicole so tragically and by doing this I remind them that their actions not only have consequences on their own life, but the lives of all those around them. A powerful remind that I believe helps to shatter student’s sense of invincibility and hopefully preventing them from taking that risk they once thought was ‘funny’ – whether that be hanging off a balcony, taking drugs, night swimming at the beach whilst intoxicated, walking home alone at night, punching an innocent bystander, accepting drinks from strangers and all the other things parents ‘lecture’ kids about not doing – once they understand that they are not invincible, that one moment of recklessness can change lives forever, it opens their eyes to the fact that the risks are simply not worth it. Life is far too precious. 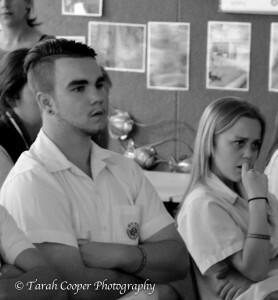 As I watch the media reports on Schoolies unfold in the nightly news, I silently wish to myself that I had had the opportunity to deliver this presentation to every single senior student around Australia before they embarked on these wild celebrations. Because even if I just make one child stop, think about the consequences for themselves and their loved ones which prevents them from taking a life-gambling risk, that is one more family who has been potentially saved from walking down the same harrowing road as my own and one less beautiful life cut tragically too short. This makes every second I pour into this travel safety campaign worth it. To learn more about our travel safety presentations, please download our Travel Safety E-brochure. Alternatively please email foundation@nicolefitzsimons.com if you wish to invite Kate to leave this powerful lasting impact with your senior students before they gain their independence to explore the rest of the world.